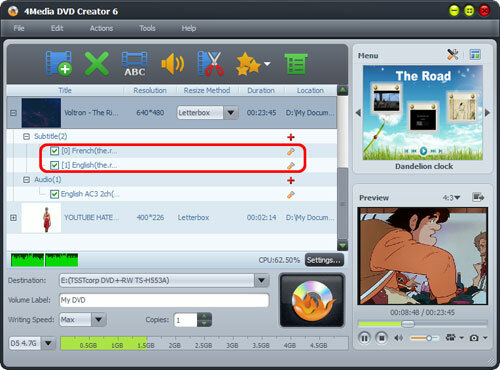 When you have some video files in MP4 format and want to burn them to a DVD movie for watching on a DVD player, you could not miss 4Media DVD Creator. As professional DVD creator software, it can easily help you burn and convert MP4 files to a blank DVD and allow you to create a specific DVD menu, clip video to reserve the essential clips, crop video frame size, adjust video effect, add watermark, and set audio tracks and subtitles for target DVD movie. How to convert and burn MP4 files to a DVD disc? First, please download 4Media DVD Creator and install it. Launch the MP4 to DVD creator and let's start the burning process. Make sure you have a blank DVD disc at hand. 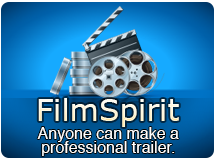 Click "Add Video File(s)" button on the toolbar and load the MP4 file. 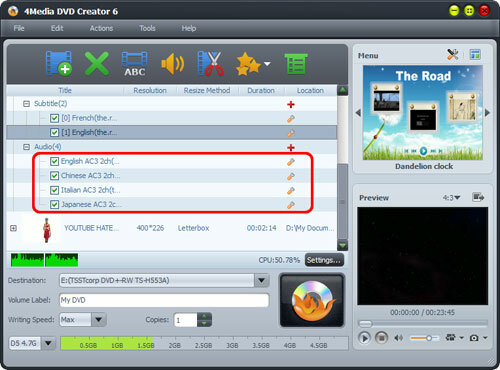 To burn several videos into the DVD, you can choose and add them all at the same time. As you see you the picture above, you can adjust the output settings yourself. - Destination: Insert the recordable disc, and choose the disc you insert from the "Destination" drop-down list. Or choose "Save as DVD Folder" or "Save as Image (.iso)" option to back up your video files onto your hard disk as DVD folder or ISO image. After loading the video file, the MP4 to DVD burner will display its subtitle item and audio track item under the file node in the file list. Click the yellow "Settings" button, you can edit the existed subtitle; and to add a new subtitle, just click the red "Add" button. To add and adjust the audio track: Click the yellow "Settings" button to adjust; click the red "Add" button to add a new audio track. Click the big "Burn" button at the right bottom to start burning MP4 to DVD. The burning process would be finished in a short time. Then you can enjoy the ready DVD on a DVD player! Free Download 4Media DVD Creator here to try the software now.